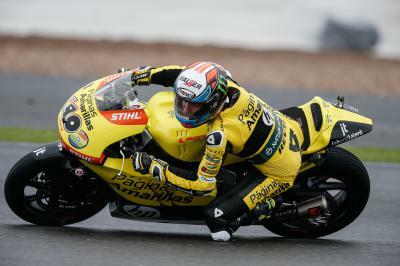 Johann Zarco comes out on top after an excellent duel with local hero Sam Lowes in Friday’s Free Practice 1. It was Johann Zarco who ended Free Practice 1 on top as the Moto2™ paddock enjoyed the best conditions of the morning at Silverstone with track temperatures rising to 25˚C. The Moto2™ championship leader set a 2’08.461 on his last lap to beat Speed Up Racing’s Lowes into second by just 0.016s. 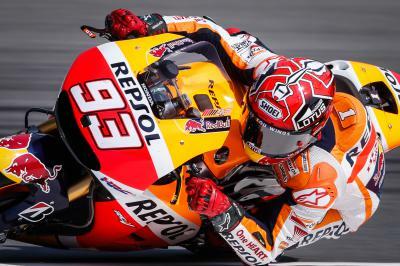 The two riders swapped places numerous times at the head of the timesheets in the last few minutes of the session before Zarco managed to claim top spot. AGR Team’s Jonas Folger (+0.459s) completed the provisional front row in third but was some way off the pace of the leading two. Tito Rabat (+0.471) on the EG 0,0 Marc VDS Kalex was fourth fastest ahead of Forward Racing’s Lorenzo Baldassari (+0.530s) and Paginas Amarillas HP40's Alex Rins (+0.532s). Dynavolt Intact GP’s Sandro Cortese was seventh fastest, with Julian Simon (QMMF Racing Team), Takaaki Nakagami (Idemitsu Honda Team Asia) and Thomas Luthi (Derendinger Racing Interwetten) completing the top ten. Local wildcard Bradley Ray on the FAB-Racing FTR ended the session in 27th in a close session that saw less than a second separate the top 13 riders. Louis Rossi (Tasca Racing Scuderia Moto2) became the first man to crash across all classes over the course of the weekend as he went down at Turn 13, but was unhurt. Federico Caricasulo is filling in for the injured Franco Morbidelli (broke his right leg in training after the Czech GP) on the Italtrans Racing Team Kalex and finished down in 29th. Check out the full Moto2™ FP1 results, FP2 starts at 15:05 local time. 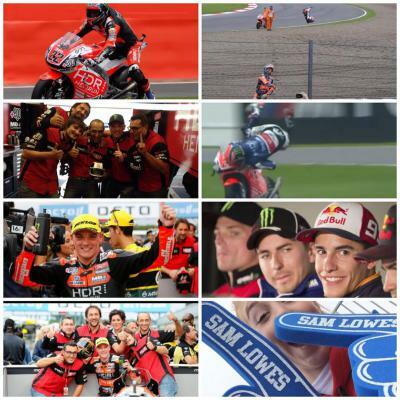 Sam Lowes was frustrated not to be able to produce a podium in front of his home fans at the Octo British Grand Prix. 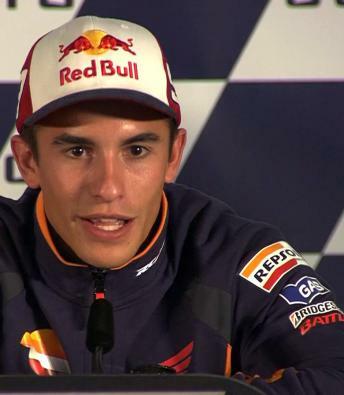 Marc Marquez lays down an early marker to title rivals Jorge Lorenzo and Valentino Rossi by topping this mornings practice by 0.388s. 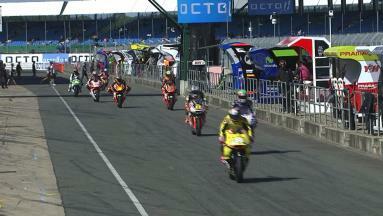 I am not racing anymore in RBA Racing Team this season. The team just terminated the contract and changed to another rider. 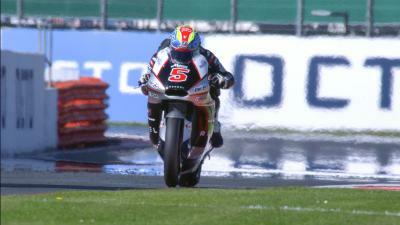 Jorge Navarro tops FP1 at Silverstone as Moto3™ championship leader Danny Kent is forced to miss the entire session with a technical issue. 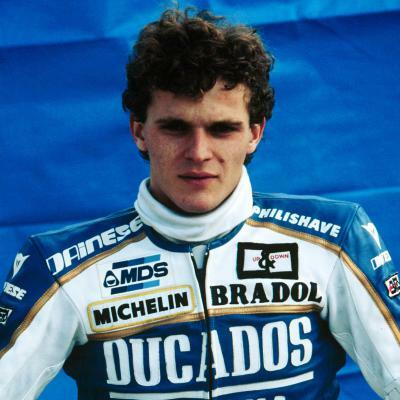 A tribute to racing legend Juan Garriga, who sadly passed away on 27th August 2015. 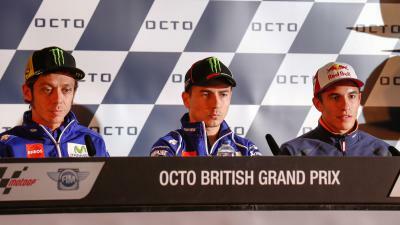 The main title contenders addressed the world’s media at the official Press Conference that marks the start of the Octo British Grand Prix. 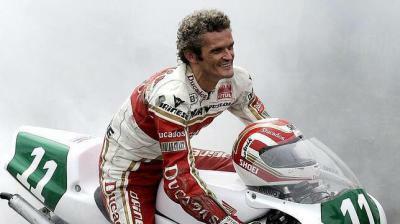 Rest in peace Juan Garriga!! 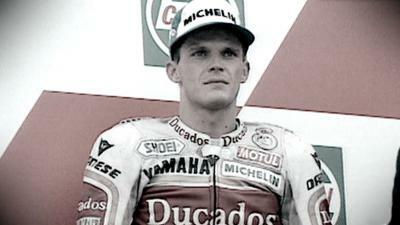 The charismatic 500cc star from the 90s dies from complications following a recent traffic accident. The lead of the Moto3™ World Championship is firmly in Danny Kent’s hands as he heads home for the Octo British Grand Prix.